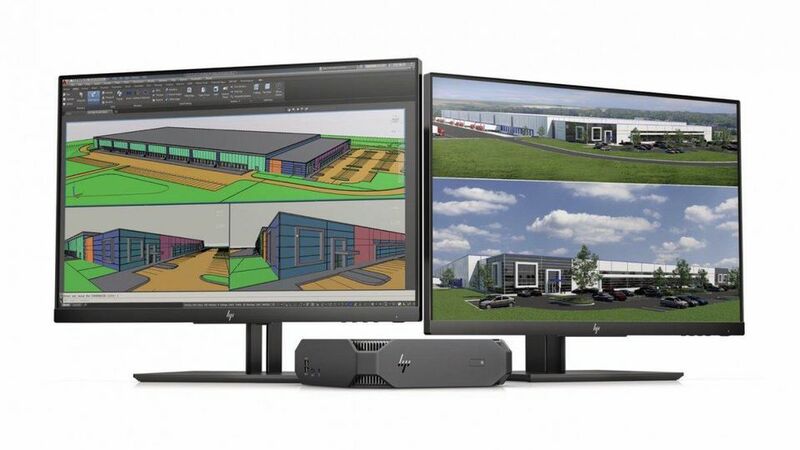 Yesterday, Hewlett Packard Inc. launched “Z2,” a new family of entry-level workstations, along with a new supercharged business desktop with workstation ISC certifications. Workstations, for those unfamiliar with the term, are very high-end personal computers used by financial traders, 3D and 2D designers, movie studios—some are even embedded into advanced equipment like medical imaging machines. Traditionally what distinguished workstations from PCs were formal software certifications from companies and titles like ANSYS Polyflow, Autodesk Maya, Cakewalk Sonar, Dassault Solidworks, and Adobe After Effects. Now a new class of workstations has emerged to satisfy the appetite of workers who need a beast of a machine without certifications and also entry-level workstation with certification. This all makes sense—in a maturing client computing market, increased segmentation occurs. Enter HP’s new offerings. First, let’s look at the Z2 Mini G4 Workstation. I’ll lead off by saying that I believe this workstation is the star of this announcement. It features Xeon support for 6 cores and 12 threads, and boasts a relatively big GPU (up to NVIDIA Quadro P1000 or AMD Radeon Pro WX4150) in a space that HP says is 25% the size of a small form factor workstation. 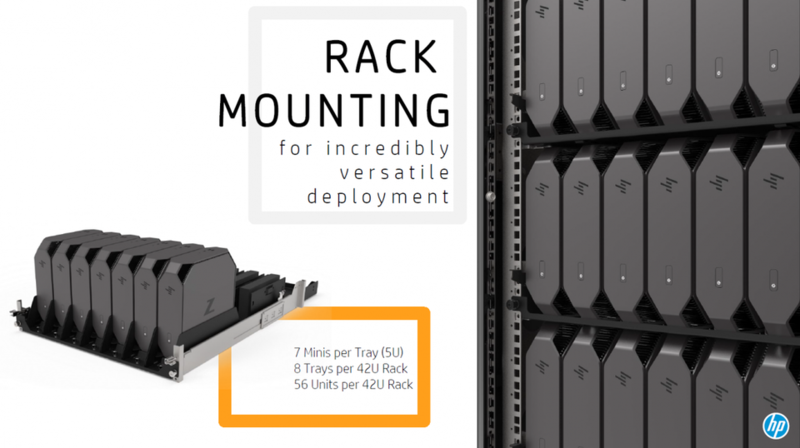 At only 2.7L in total volume, it can sit on the desk, be mounted on the back of a display, and even sit in a rack (56 Minis can fit into one 42U rack). HP also says that Z2 Mini is the “world’s quietest mini workstation,” based on the company’s internal analysis of noise emission testing from “mini workstations of <3L with ISV certified applications, ECC memory, and Intel Xeon quad-core or higher processors.” This workstation’s flexibility and space-efficient design makes it well-suited for mission-critical environments. All in all, it looks like a very impressive offering. 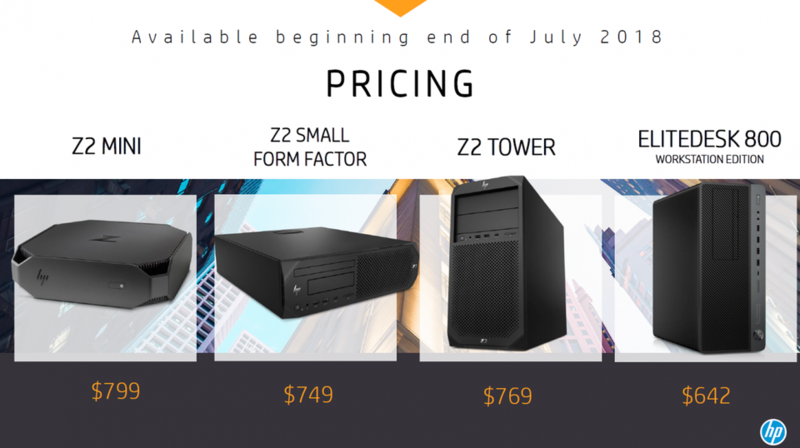 Next is the Z2 Mini Small Form Factor (SFF) G4 Workstation. The new generation’s six-core CPU packs 50 percent more processing power than its predecessor, all within the same tiny form factor. HP is marketing the SFF as the “most expandable” commercial SFF PC in terms of customization, with 4 PCIe slots, dual M.2 storage slots, and Thunderbolt. The SFF’s flexible I/O options make it well-suited for product developers, AEC, and OEM power users. After that comes the HP Z2 Tower G4 Workstation, which HP is calling “the world’s most powerful entry workstation.” The HP Z2 Tower has 60% more GPU performance than the prior generation while being 13% smaller. This workstation is expressly designed to handle complex workloads such as rendering and BIM, utilizing the latest Intel Core or Xeon processors and Ultra 3D graphics. Its new front and rear “ledge” design and small form factor make it portable and easy to move around the office as needed. The last new offering is the HP EliteDesk 800 Workstation Edition. This is essentially a super-charged business desktop with ISV certs for Solidworks and AutoCAD, featuring an Intel Core K-SKU processor and NVIDIA GTX 1080 consumer graphics. This differs from the Z2 Tower in that the Z2 has Xeon processors, NVIDIA Quadro P500 graphics, Thunderbolt, and more bay upgradability. One other thing worth mentioning is that all of these new offerings come equipped with HP’s security suite that is currently turning a lot of industry heads. 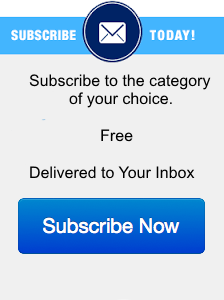 The suite (which I’ve written previously about here) includes features like Sure Start, Sure Run, Sure Click, and a manageability software kit. This means these workstations have some of the best security out there, but also that they can easily integrate into the entire enterprise security framework if it’s based on the “Elite” line. All in all, I think HP has a nice line of entry-level workstation desktop offerings here in the 4thgeneration of its Z2 family and the addition of the EliteDesk 800 workstation. These workstations all look to be marked improvements upon the previous generation, and I think they will hold appeal for those looking for an entry-level (yet still powerful) workstation, with and without certs. I’m not surprised to see HP Inc. stepping up to fill this developing niche—the company has been around the block many a time and has a good eye for market sub-segmentation opportunities. Nicely done, HP.